Ideal Boilers are a leading UK manufacturer of combi, system and heat-only boilers for both the domestic and commercial heating markets. 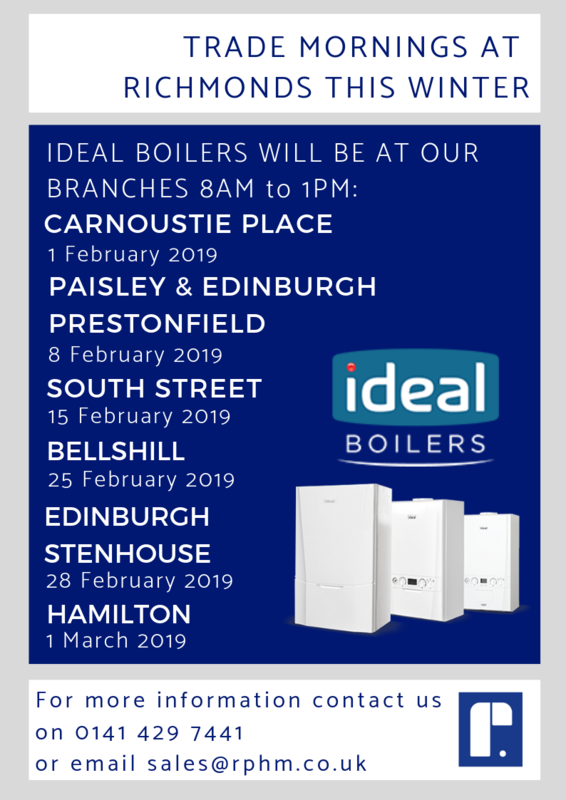 Come along to the Trade Mornings to find out about the Ideal Boilers product range, their most recent product launches and their loyalty scheme, Installer Connect. Our staff will also be on hand to answer any questions you may have and, of course, supply you with the products too. We look forward to seeing you soon.